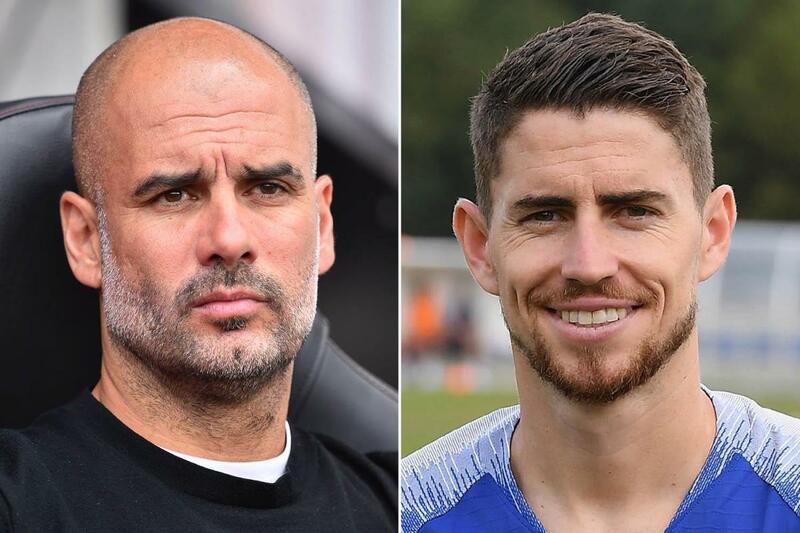 Pep Guardiola fires dig at Jorginho after his summer decision of joining Chelsea. Manchester City pulled out of a deal for the Italian in the summer when it became clear he wanted to move to London. It seems to be tough season for Manchester City. Last year they were at the top of the table and sign a promising young centre back Ayermic Laporte. This season they are trailing behind Liverpool. Guardiola lost the race to sign Jorginho from Napoli. To add more salts to the wound, Guardiola and Manchester City lost the race to Barcelona for the signature Frenkie De Jong. Frustrated, Guardiola takes a dig at Jorginho after his decision to leave Napoli for Chelsea. Pep Guardiola has fired a dig at Jorginho and Frenkie de Jong after both players opted for moves elsewhere, claiming Manchester City only want players who want to come to the Etihad. City pulled out of a deal to buy the 26-year-old from Napoli in the summer. Guardiola had viewed Jorginho has the perfect man to sit in his midfield. And it is believed that City thought they had agreed a deal with the Italian club. But the Italian wanting to join Chelsea they pulled out of a deal once the figures became too high. It’s something that has happened again with de Jong, who will join Barcelona from Ajax in the summer in a massive £65million deal. Reports suggested that the 21-year-old will earn himself £300k per week at the Nou Camp. Speaking to Sky Sports, Guardiola insists that City won’t be drawn into paying big money for players who don’t want to move to the Etihad. Pep’s frustration can be seen. They lost the likes of Dani Alves, Alexis Sanchez and Jorginho now De Jong also joins the list. Guardiola needs to understand that if he needs to bring world class players then giving a hefty fee is necessary. If they could have afforded Jorginho, then Guardiola might have back up to Fernandinho and wouldn’t have lost the matches to Crystal Palaces and Leicester. Could Ozil be on his way to Giuseppe Meazza?